Della Faye’s first book titled Always Try Just One More Time was released in July 2005. Since her original release she has published Always Stay Motivated: The Power Is Within You, and several pocket guides. Her life experiences dealing with teen pregnancy, single motherhood and more demonstrates her strength and determination to make a difference in her life. An encourager and dispenser of hope, she uses her personal experiences to connect with people. You will find that she does not succumb to people’s pity party (and reminds them there are no rewards at the end of them), but has the ability to inspire individuals to achieve greater professional and personal success. Della encourages individuals to stop wallowing in self-pity because it leads to nothingness, instead apply self-discipline that leads to accomplishments. Her former radio show, Encouraging and Joyful Moments with Della, on Joy 910FM inspired many listeners. She has several technical certifications and holds a Radio Announcer Diploma. Entrepreneurial DNA! Della is a former partner of All kinds of (AKO) Printing, InterUrban Tax & Bookkeeping Service, VDC1Net Telecommunications, and Hannon Shoes ‘N Wear Retail Store, a former Director in Allzents Groups Inc., and currently a National Director with 5Linx (www.5Linx.net/dellafaye). As a business consultant, speaker, and professional development trainer, Della has taught technical and soft-skills to adults and youth. With eighteen plus years training experience, and over 30 years computer and business experience she trains individuals to improve their performance and productivity. Della provides quality hardware and software technical support. She is very instrumental in helping entrepreneurs and ministries get off the ground. Della is passionate about improving conditions in the world thus her passion for helping to put an end to pain and suffering in this world. 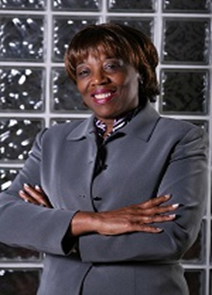 She has served on the Board of Directors for Helping Restore Ability (www.helpingrestoreability.org) from 2009-2012. For 20+ years she served as a volunteer for the Dare to Dream Children’s Foundation (www.daretodream-dallas.org), served as a volunteer at Baylor Hospital Irving. Della helps organize an annual Mothers and Daughters Luncheon. She has led women retreats, organized and led church youth programs, facilitated workshops, emceed at conferences, and delivered inspirational keynote messages.